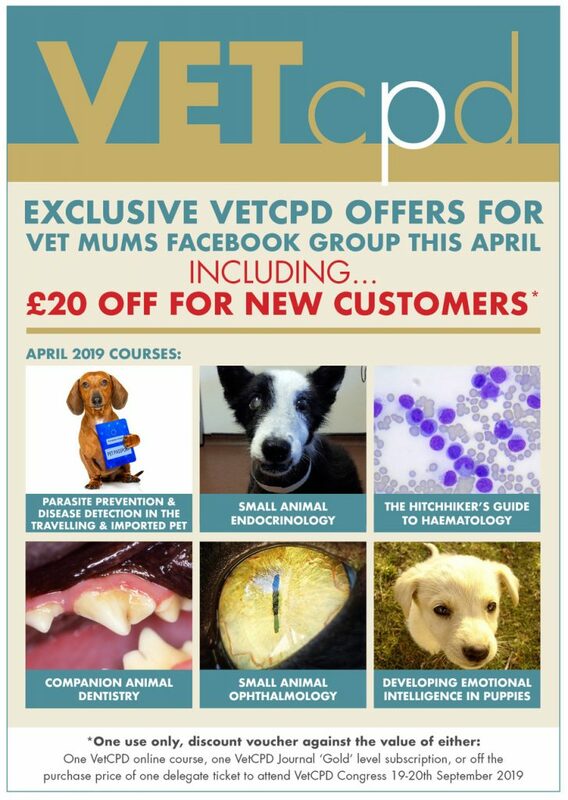 VetCPD is offering £20, one use only, discount voucher against the value of either: One VetCPD online course, one VetCPD Journal ‘Gold’ level subscription, or off the purchase price of one delegate ticket to attend VetCPD Congress 19-20th September 2019. To receive the discount please email VetCPD; vetindex@me.com for your exclusive discount voucher code. VetCPD is offering an exclusive 12.5% discount off either one VetCPD online course, one VetCPD Journal ‘Gold’ level subscription, or off the purchase price of one delegate ticket to attend VetCPD Congress 19-20th September 2019. This is an exclusive online offer only and can be redeemed with a special code available at the point of online purchase between now and May 31st 2019. 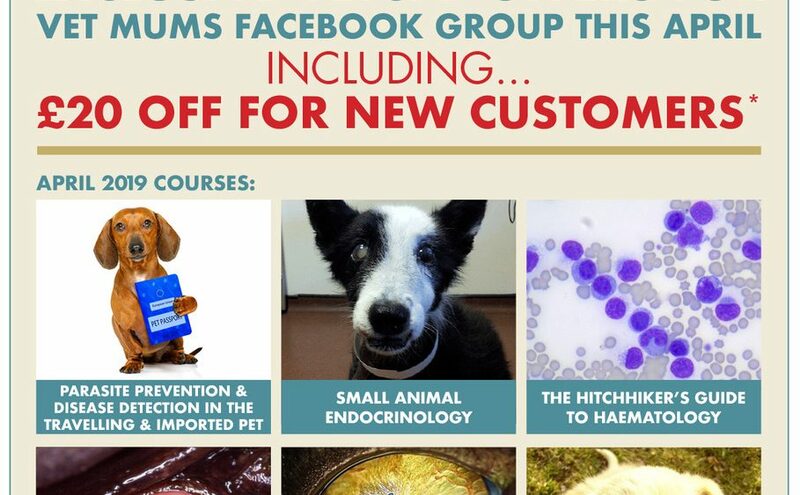 (Please note; Offers cannot be used in conjunction with each other and are only valid off one transaction per Vet Mums Facebook group member – offers valid until May 31st 2019). ← WIN a one-day pass to VetCPD Congress at BSAVA Congress this April!